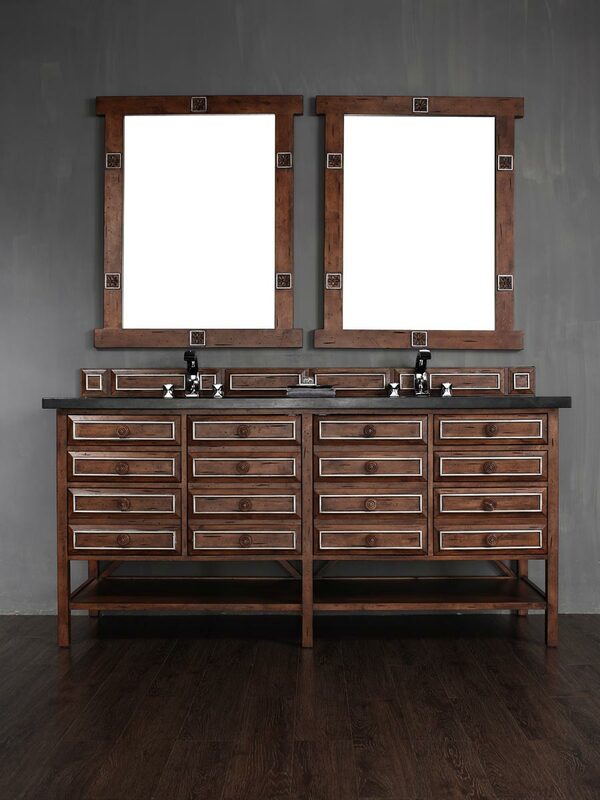 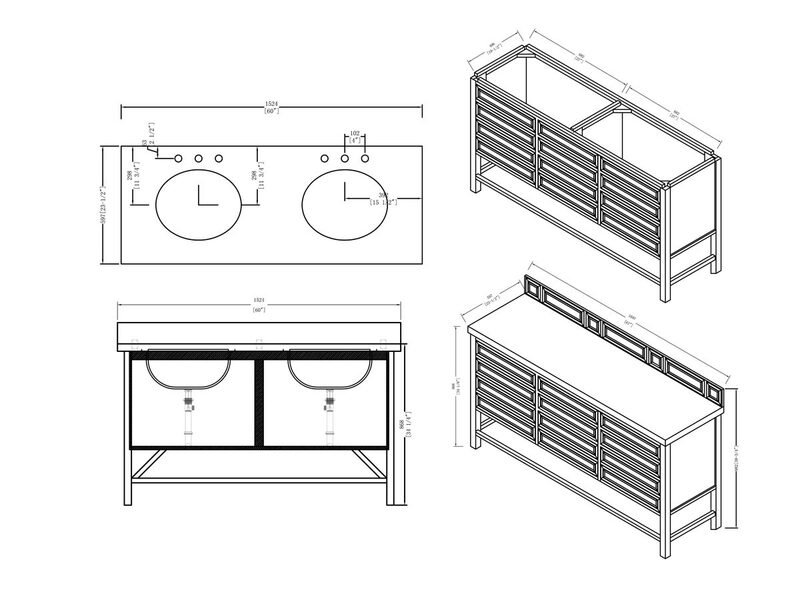 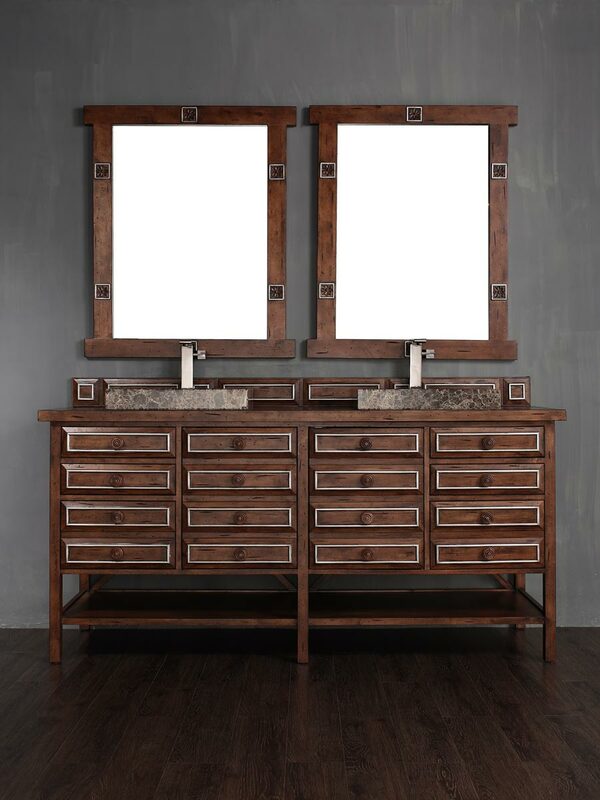 Give your bathroom a unique appeal with the 60" Tacoma Double Sink Vanity. 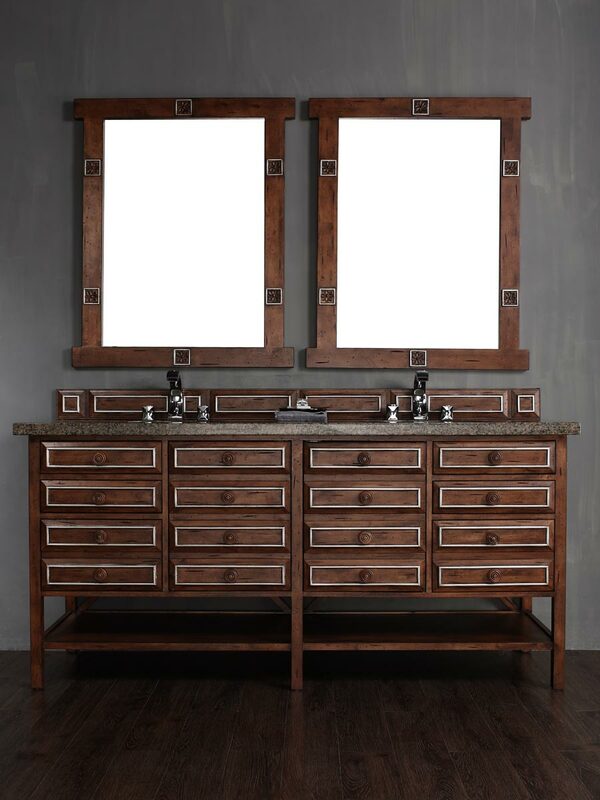 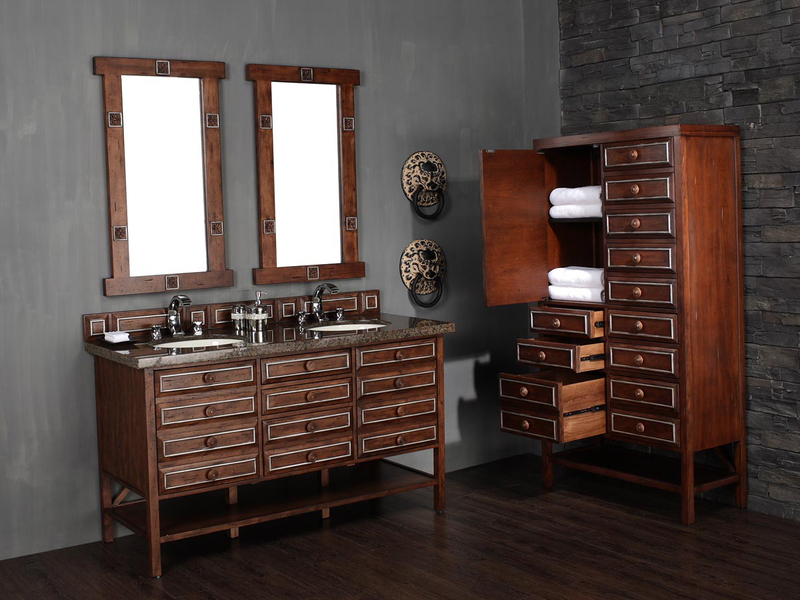 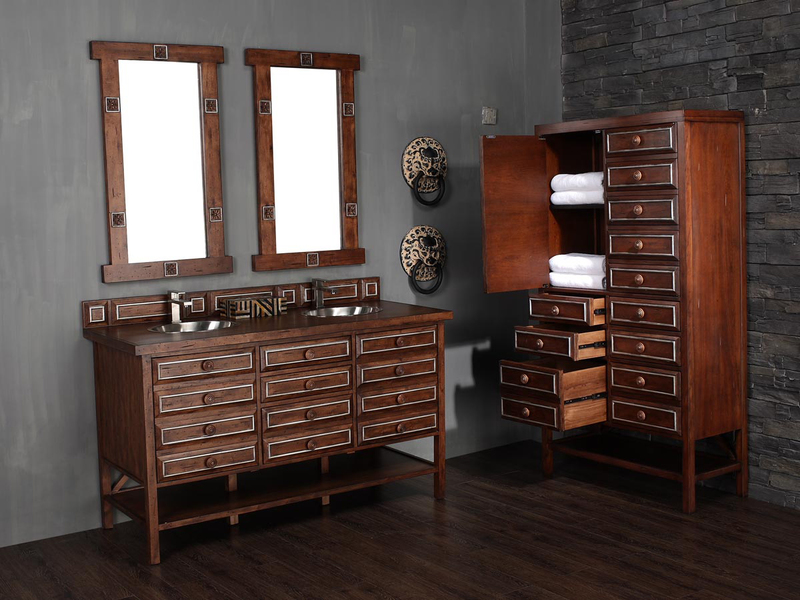 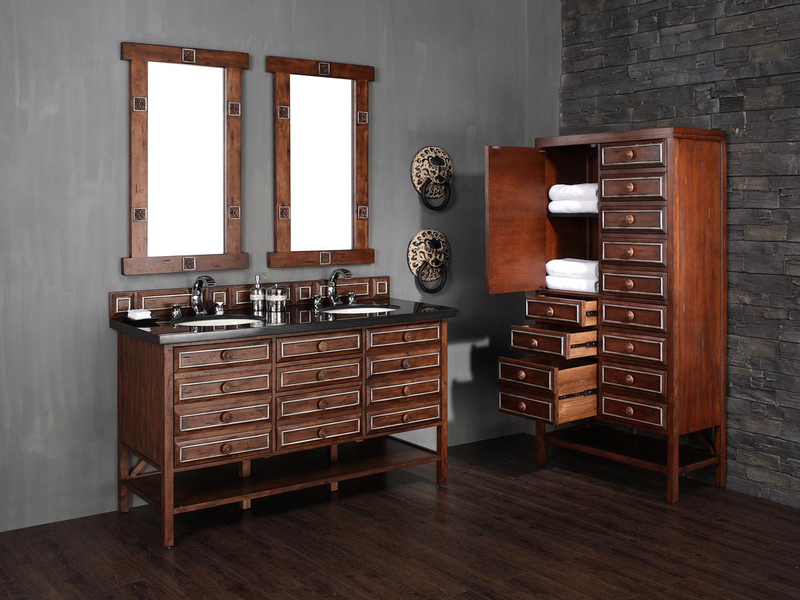 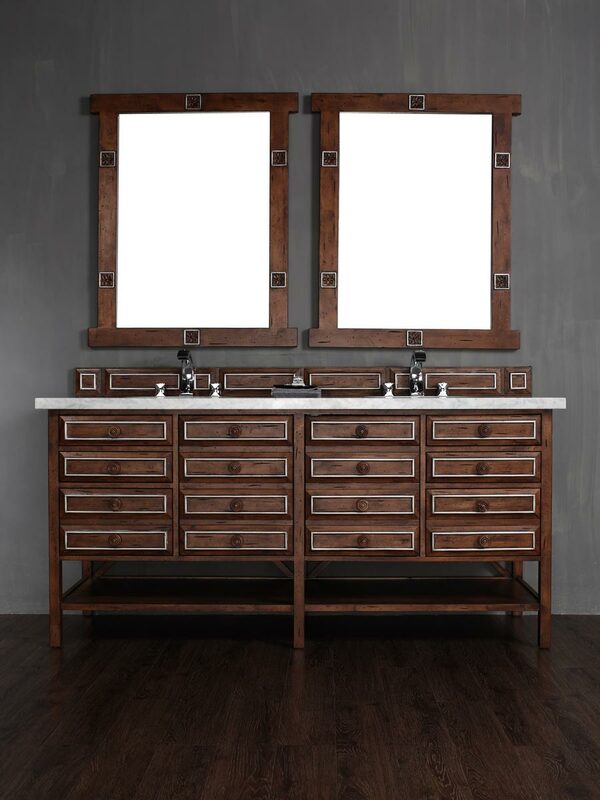 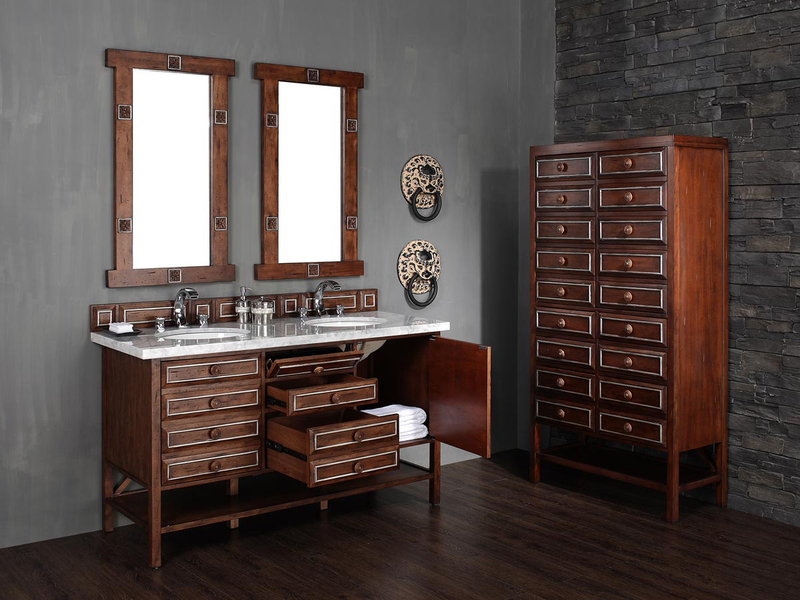 Designed with a luscious Cherry finished cabinet made from solid oak, this beautiful vanity was styled with Old World influences. 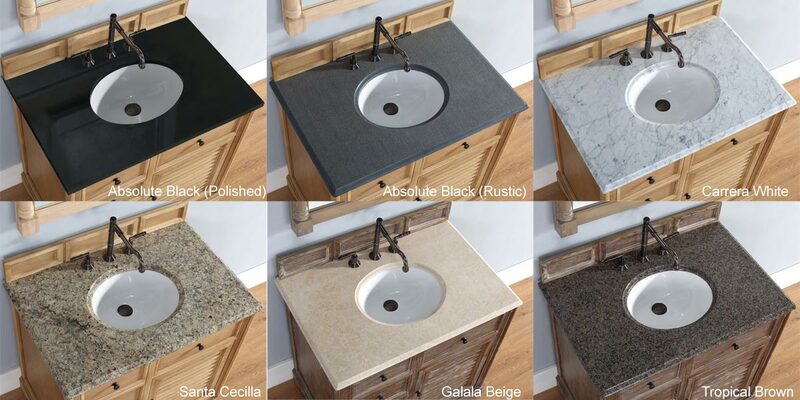 Its top can be made from matching wood or choose from 5 stone tops. 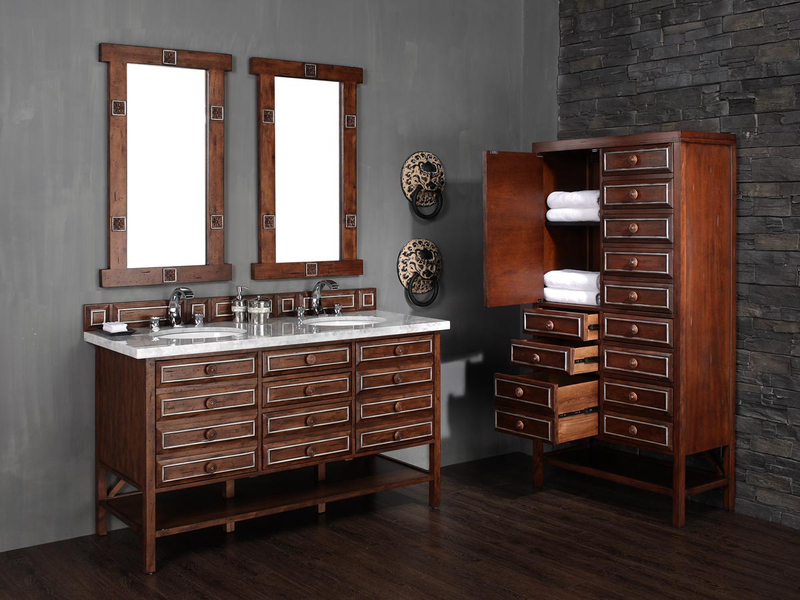 With two single-door cabinets, a hide-away drawer, a small drawer and a larger drawer, you'll have plenty of space to store all your bathroom essentials. 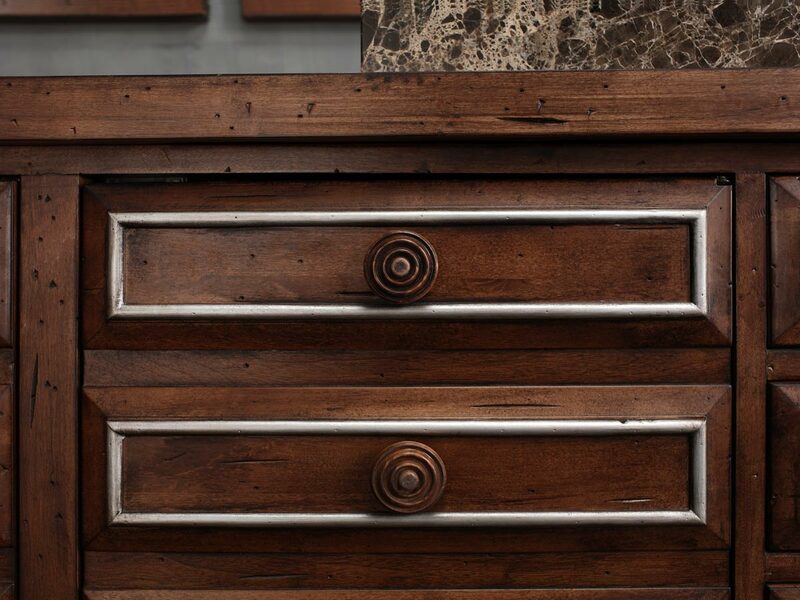 Each cabinet door has a faux drawer design with silver accents and a wood designer knob for an attractive finish. 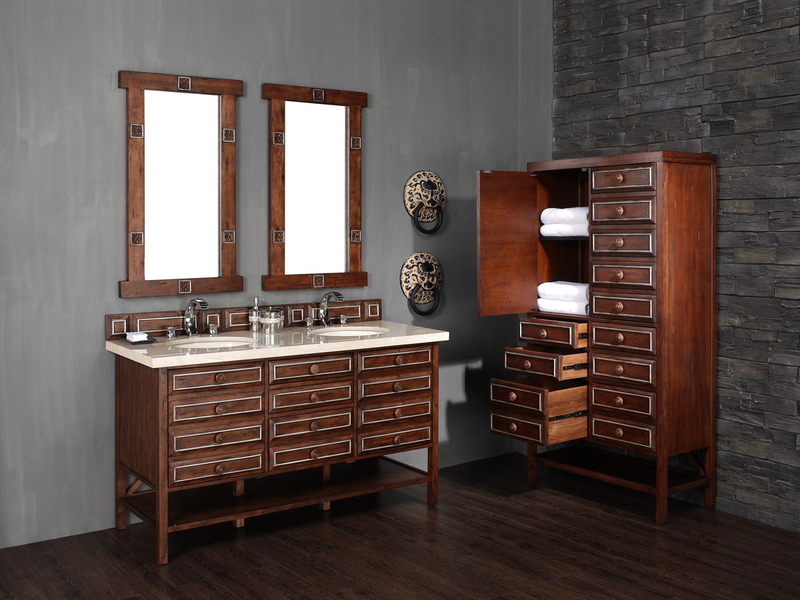 Below the cabinets is a large towel shelf, perfect for storing clean towels or bathroom accent pieces. 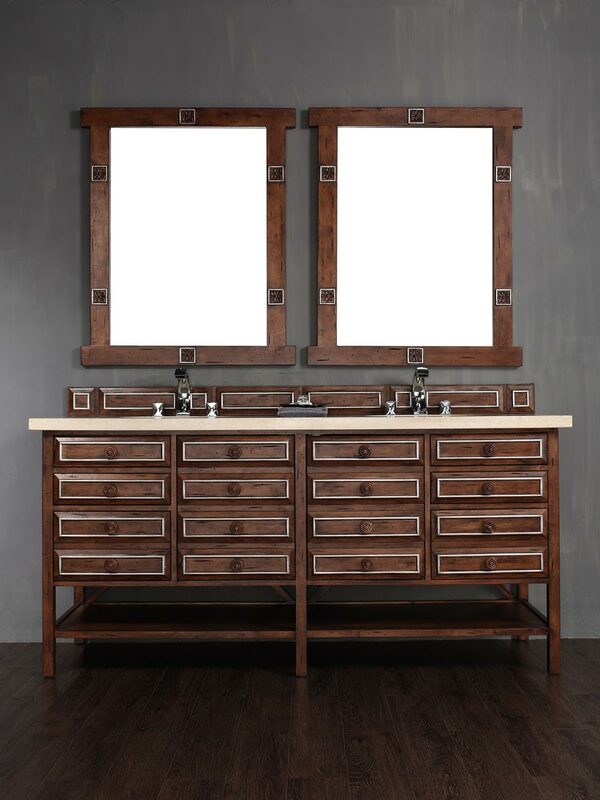 Add the matching mirrors for an even more unique appeal!